Texture is my thing. Let me say that again LOUDER so there is no doubt in your mind. TEXTURE IS MY THING!! I adore it in the garden almost above all else. I see it everywhere, it dominates my design sensibilities in every conceivable way. The fact that I tend to see almost everything through the lens of a camera whether I’m holding one or not helps me to focus my design esthetics so that I see textural vignettes everywhere. 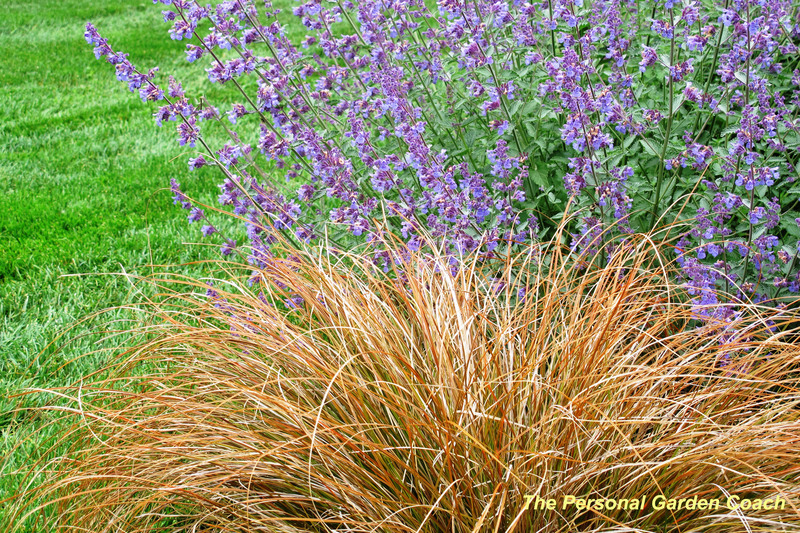 Since all of us at The Garden Designer’s Roundtable are tackling this topic for June, you are sure to get some seriously great tips and techniques on the actual step by step of adding texture into your landscape. As is my way, I am not going to do the expected, but rather, I will give you a pictorial of what adding texture to your landscape means to me through a collection of photos. I feel strongly about learning visually on this topic, reading the actual variables is handy, but sometimes you have to just see it to know and understand it. I am also sprinkling in some EXCELLENT links for you to go and visit as well as referring you to my fellow Lords and Ladies of the Roundtable and their collective expertise. Here is the first link that I stumbled onto the other day while doing a bit of research. 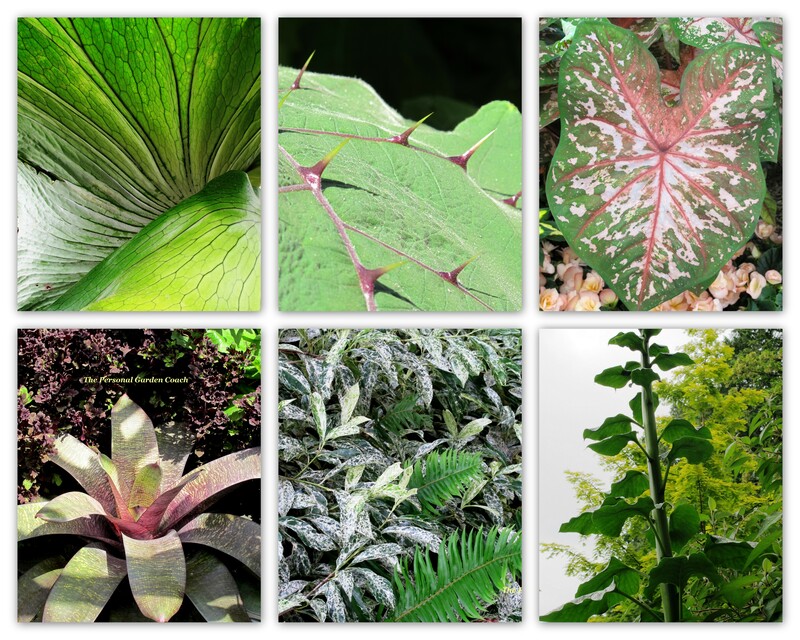 This is one of the very best explanations of Adding Visual Texture to the Garden that I have ever read. 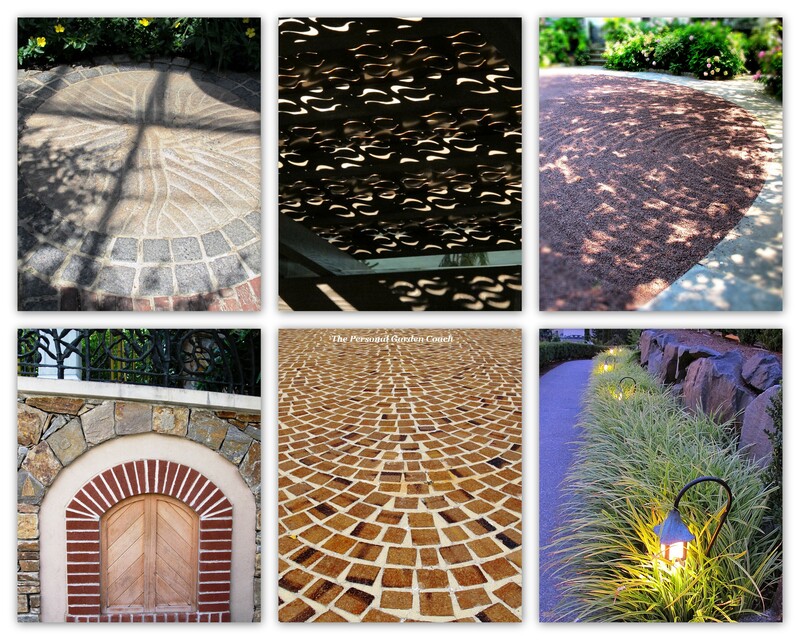 Writer Doug Skelton, lays out the principles of adding texture expertly. 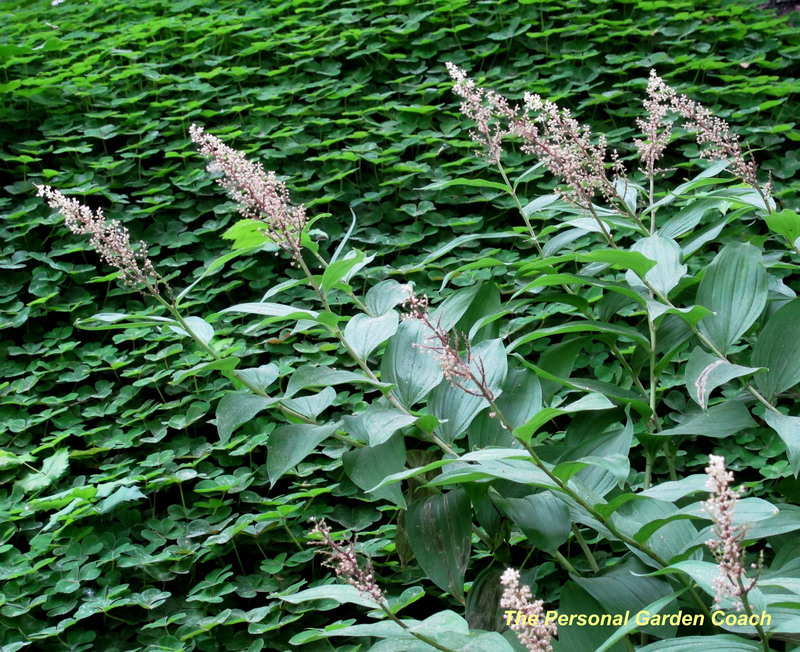 Margaret roach explains “underplanting” here with great expertise, but even more, look at that TEXTURE! This beautiful and simple post from LIVE PRONTO! shows the appreciation of taking a walk to admire the textures and breathe it in a bit after a long day at work. 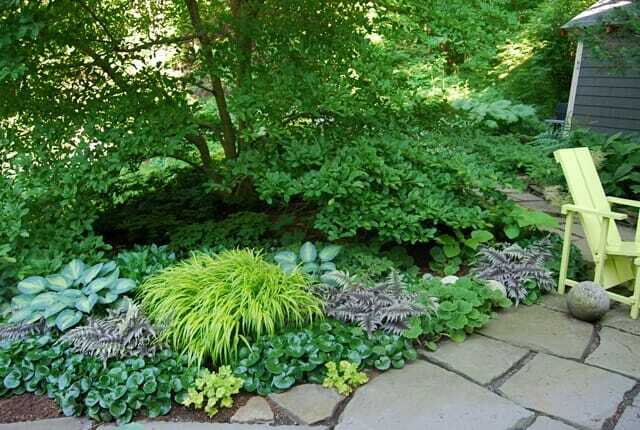 I love the glass ground cover in this link! One of the assignments I give my clients when I am Coaching is to have them take a photo of the anything in the landscape and look at it solely in black and white. This is a fabulous exercise for designing with texture in particular because it forces the eye to look at the shapes, balance and details in a completely new way. 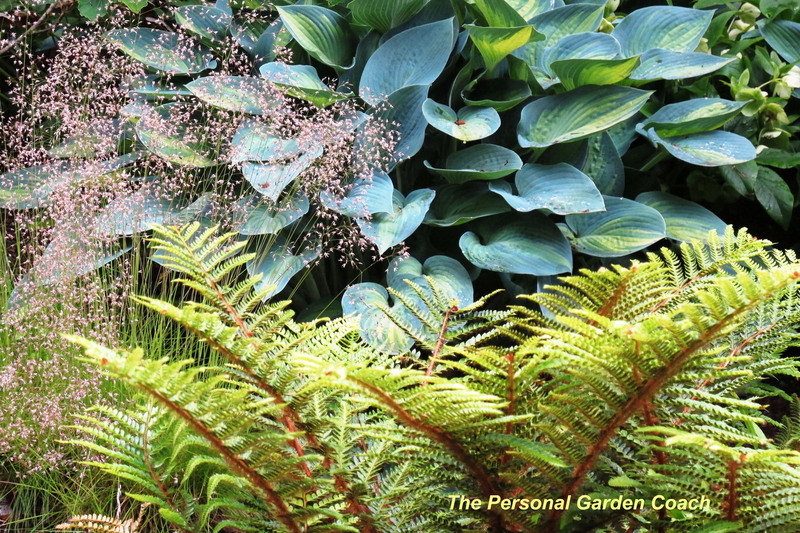 Adding structural plants is a focus in this blog post called “Rooting For Ideas”, very well done by Designer/Blogger Don Statham in a post about “Texture in the Garden”. 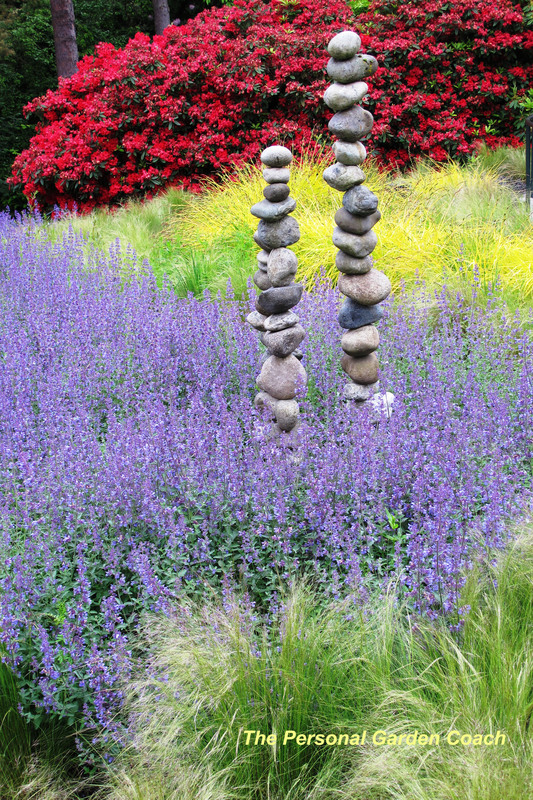 Sometimes adding visual texture to a landscape can mean adding focal points that might be rare and unusual collectors plants or literal texture too! 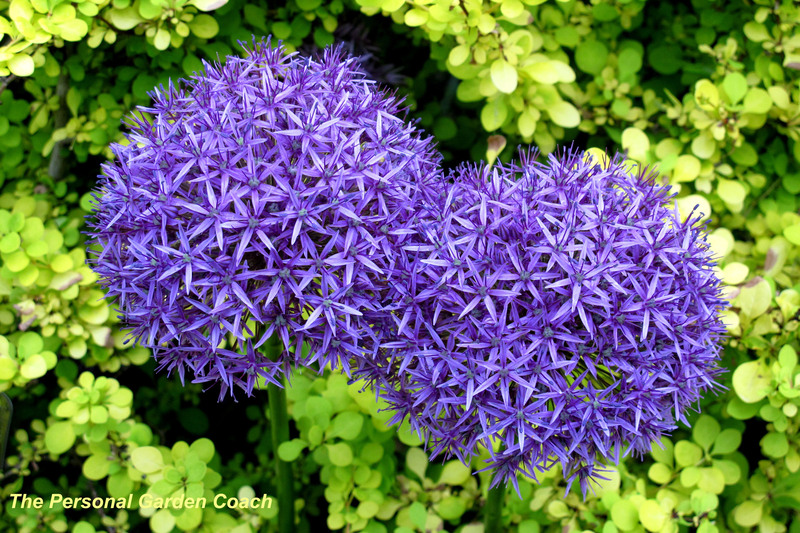 I love the idea that sometimes you need a seemingly basic plant that has a high degree of textural interest simply to set a backdrop for pure drama in the garden. At other times the focus can be very macro on the texture of one plant in particular as blogger Matt Mattus explains in this post from his blog “Growing with Plants” about Pulsatilla and his love of the texture when they have those fluffy seed heads. 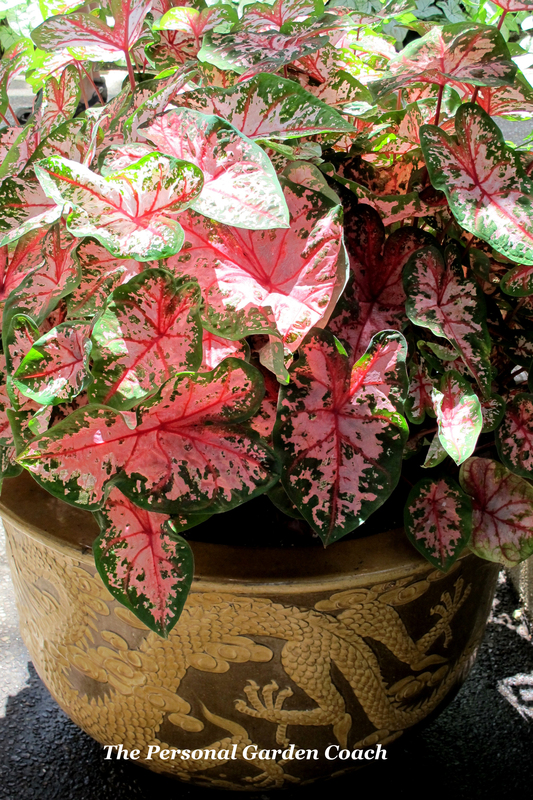 In this shot, the take-away is the literal texture and impact of the subject matter on the container and how it’s so balanced with the amount of detail on the foliage of a fairly common Caladium. Also, note the balance of the tone in colors here as well, if the pot was the same pattern in another color, this might not work at all. This combination takes both pieces to new heights. 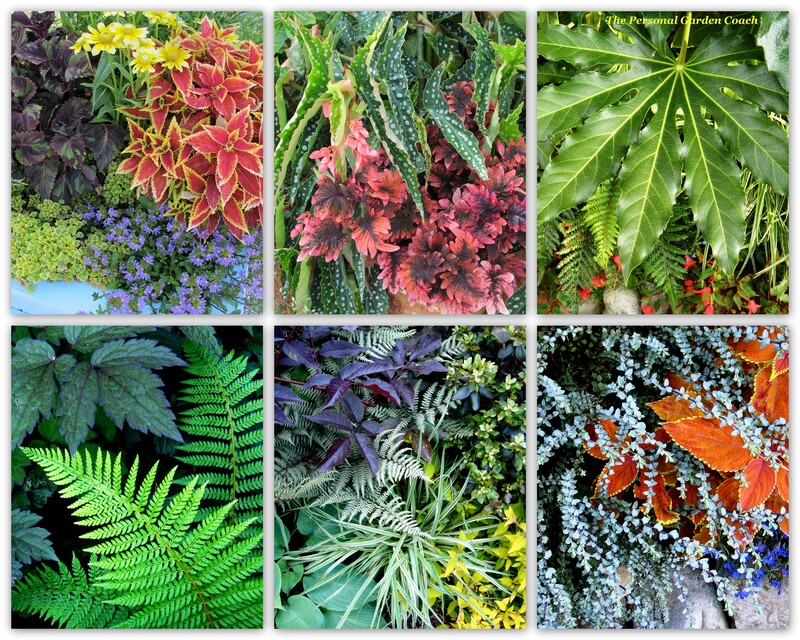 Houzz.com is getting a lot of Buzz lately for their take on the “Idea Book” that people have fallen in love with lately- check out this post about adding lushness to the garden with layers, by Amy Renea. 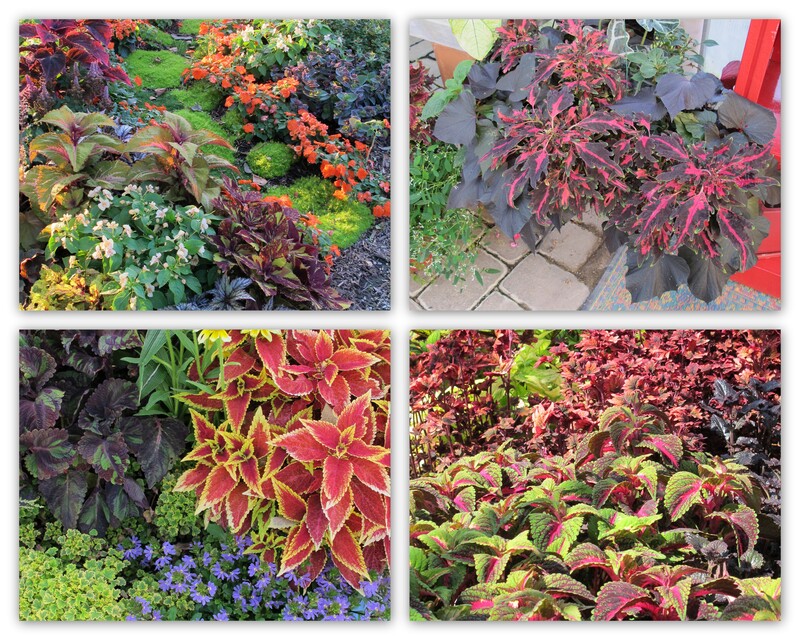 And simply because I love these shots and ALL the texture they conjure, my beloved coleus cannot be ignored. 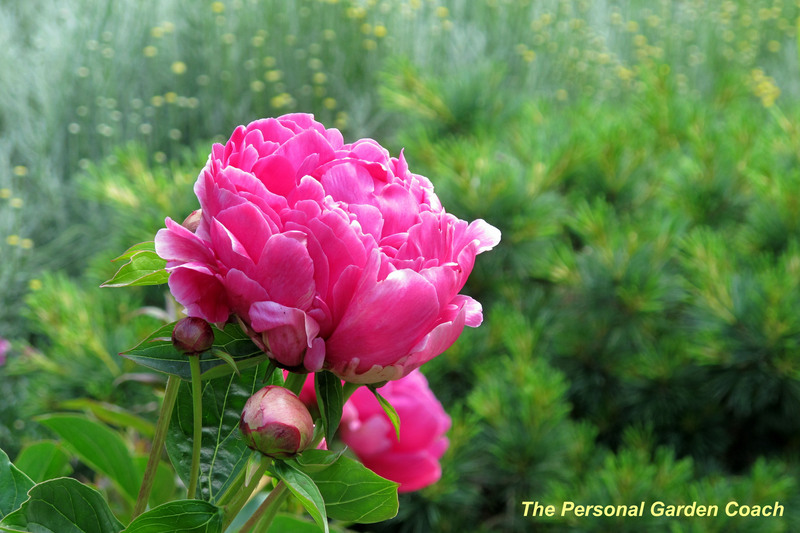 I love this post from “Not Another Gardening Blog”. 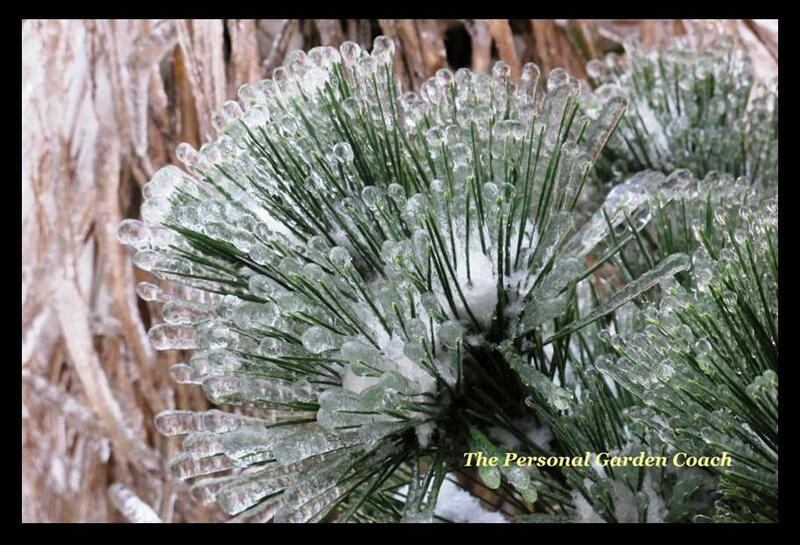 This blogger does a masterful job of defining texture as it applies to the winter garden. 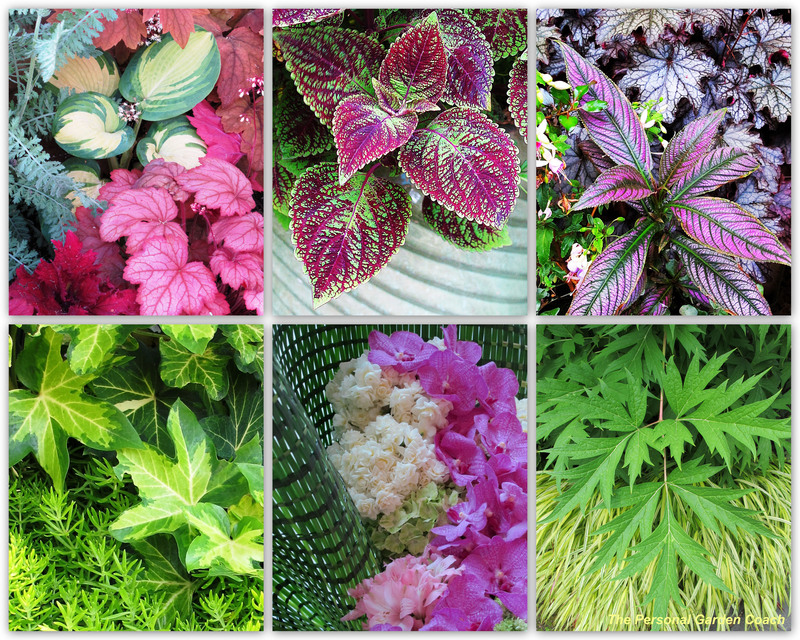 This entry was posted in Uncategorized and tagged A Way To Garden, Adding Visual Texture to the Garden, Balance, Bellevue Botanical Garden, Black and White, Coleus, Collages, Collection of Photos, Color, Combinations, Container, Design, Distinctive, Flowers, Foliage, Form, Garden, Garden Coaching, Garden Design, Garden Ideas, Garden Photography, Garden photos, Gardening, Gardening Blogs, gardens, Horticulture, House and Garden, Houzz.com, Landscape, Landscape Design, Landscaping, Man Made, most beautiful gardens, Perennials, Photography, Plants, Space, Succulents, Texture, Texture in the Garden, Texture in the Landscape, The Garden Designer's Roundtable, The Personal Garden Coach, Trees, Unique, Visual Learning, Winter Garden. Bookmark the permalink. Your commentary and choice of images make this is a helpful post. I sometimes evaluate the quality of my garden photographs by viewing them in B&W, but what I realize from your post today is I should be also evaluating my actual garden combinations using this tool as well. 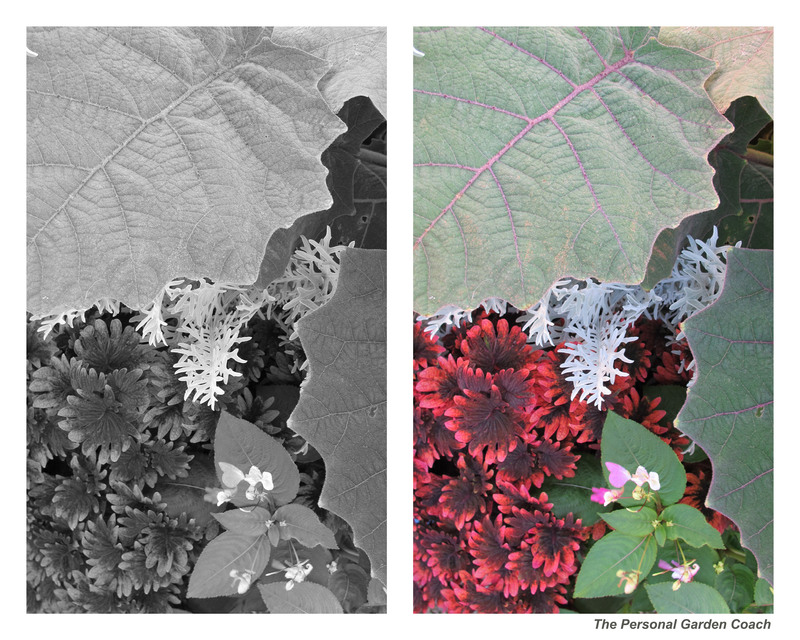 Some of my photographs were lacking contrast, but in some cases that may be an accurate reflection of the lack of contrast in areas of the garden. I enjoyed all your “touchable” photos, Christina, and the links you provided lead to some good reading too. I’ll have to follow up with those after I get through all the Roundtable posts. I was touching my screen the entire time looking at this post! Wow – thanks for the visual feast today, Christina! Out of all the images, I think the very first is my favorite! And I’m looking forward to reading the blogs you’ve recommended, as well. Very helpful and informative!! Planet Puget Sound is quite brilliant. Understory textures…something we really don’t explore here, since it is usually the understory to surface-rooted trees that allow nothing else. Texture there would be appreciated. But getting clients to see in black and white…great, a whole topic to explore I do not use enough. Fantastic! Thanks for the visual tutorial. Thanks so much for the ‘shout out’! I’m pretty new to the blogosphere so had never heard of the Garden Designer’s Roundtable – wow, so much to read so little time. I’ll be back. You are welcome- loved your blog! 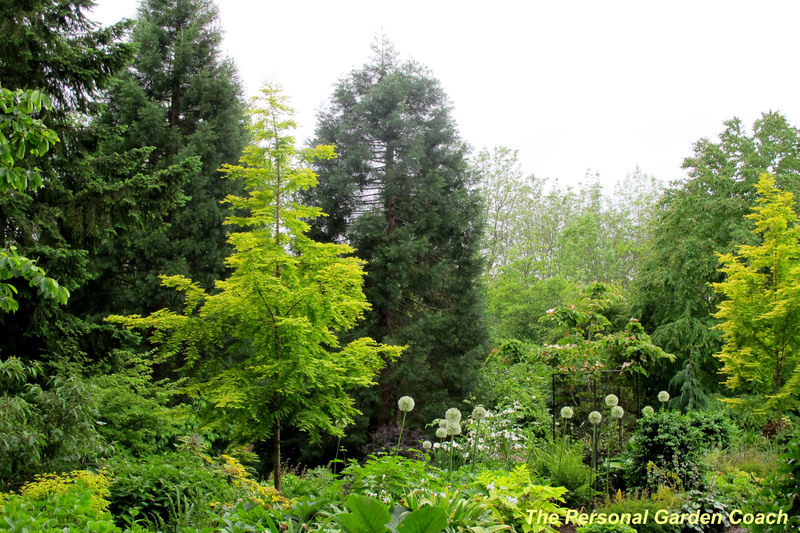 fabulous post – I’m saving this in my pinboards so I can come back when I’m designing my new garden. Thanks for all the amazing photos! This wonderful. How can you do this? Great job.